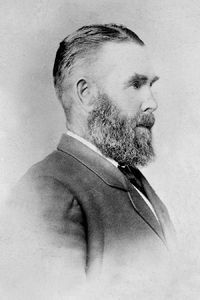 This web site has been set up as a source of family history information for descendants of Patrick and Ellen Lyons who settled at Marong, Victoria in 1865 after living for some years on the Bendigo goldfields. Marong was (and is) a small town about 15 kilometres west of Bendigo and the Lyons' property there was known as Ellendale. The Lyons family farmed Ellendale until 1912, not long after the death of Patrick. The aim of the site is to provide short articles on people and locations of general interest. More detailed family history information is available in the document "Ellendale and Beyond", updated versions of which are available for download. The "Help" menu item explains how to get around here. Patrick Lyons and Ellen Ryan (nee Ryan), emigrated from Ireland to Australia in the mid 1800s. 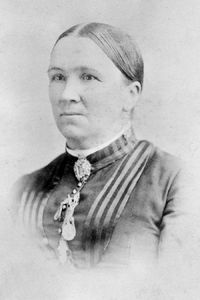 Ellen travelled with her parents, William and Ann Ryan, on the ship 'Ellenborough' and arrived in Newcastle, New South Wales on 31 October 1854. It is not known how or when Patrick Lyons arrived in Australia. Short articles on people and places relating to the Lyons' family are welcome. Please contact me if you can provide additional information on Patrick and Ellen and their descendants (or ancestors) or if you would like to contribute an item.